ABP News –From August three to eight, 2015, UK Investment Delegation visited ABP China for the first time, led by UK London Borough of Newham, aiming at deepening the understanding of ABP, promoting communication and exchanges among UK-China Businesses and Governments, promoting the development of trade and economy of two countries, as well as expanding cultural communication. Recent years have seen the unprecedented development among UK-China trade and economy against the unfavorable condition. 2015 is also the occasion for the 11th anniversary of establishing UK-China all-around strategic cooperation. China and Asian countries are holding growing interest for investing in UK, and the investment amount and scopes also make leapfrog development. The 6-day visit has been paid to ABP projects, European Office of Ministry of Commerce of the PRC, Simens China, the tallest building in Beijing of CITIC Construction, Planning Library of Fengtai. Besides, UK-China Round-table Conferences were also held with the theme of “Developing UK-China Trade and Seeking Cooperation Opportunities in Beijing and Haining, where the Borough of Newham had signed friendship cooperation city agreements with Fengtai Dsitrict, Zhejiang Haining Citi and Shenyang Shenbei New Dsitrict. Delegation members is composed of leaders from UK and Indian businesses and government, government leaders including Sir Robin Wales of Mayor of Newham Council, Kim Bromley-Derry of Chief Executive of Newham Council, Tony Clements of Deputy Chief Executive of Newham Council, Simon Powell of Director of Strategic Projects and Property at Greater London Authority; businesses leaders including Santosh Gowda of CEO of Strawberry Star, Reddy Veeranna of Chairman and Administration Director of Strawberry Star, Lance Forman of Chairman of H. Forman & Son, Mark Jenkinson of Director of Siemens London, Wlilliam Yang of Associate Director of DP International. Besides, some UK media representatives also participate, such as Alastair Harris of Executive Publisher and Editor of First Magazine, Mark Shales of Newham Recorder Journalist, Alexander Peace of Estate Gazette Journalsit. Xu Weiping, Chairman of ABP International Alliance and Board Chairman of ABP London CEO accompanied the delegation to all the sites, and introduced the construction planning and strategic development of ABP to them. The visit not only signify the more frequent trade and economic exchange between UK and China, but also means that ABP model and economic concept are recognized by the world and its global strategy is strengthening. ABP London that is oriented to be “Asian Business Port” will endeavor to aggregate partnership strength and build platform for UK-China business cooperation and exchange. East London boasts great potential, said Xu Weiping, for its favorable taxation and premier transportation network. Besides, he also said that coalition will play an important role in Chinese mixed-ownership enterprises “going global”. Many topics were deeply discussed in ABP Jiangnan City, including the cooperation opportunities between East London and Haining, the future of “internet+business”, transformation and upgrade of real economy, the planning of Factory Store City, C2B model and so on. Xu Weiping explained the planning of ABP Jiangnan City, the orientation of Factory Store City and C2B model. Besides, he shared his views on UK-China enterprise cooperation. On August 3, ABP signed Momorandum of Understanding (MOU) with CITIC Construction on building Royal Albert Dock project at East London. The cooperation will set as an example for Chinese mixed-ownership enterprises “going global” and also is embodiment of combing “going global” with “One Belt And One Road” policy. Xu Weiping said, “CITIC Construction, “an unmatched power” in Chinese real economy, boasts not only rich capital, but also well-developed marketization. 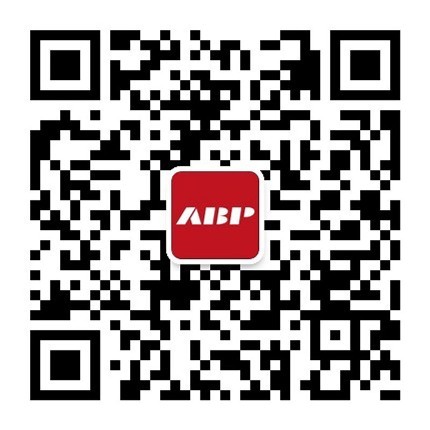 Backed by CITIC Construction, ABP will be more confident in its future. ABP and CITIC Construction, two representative enterprises, will make due contribution to UK-China trade, business exchange and cooperation. London Borough of Newham has inked sister cities agreements with Beijing Fengtai District, Zhejiang Haining City and Shenyang Shenbei New District, which is one of the significant achievements of the visit. Both parties will cooperate and communicate with each other in sustainable development, economy, culture, education etc. Sir Robin. Wales said that the establishment of sister cities will provide guarantee for future cooperation, making the relationship closer. He hope that UK-China will strengthen communication, so that to realize win-win development. Fengtai District Mayor Ji Yan, Haining Municipal vice Mayor Hu Yangzi and Shenbei New District Mayor Jin Zhisheng said that the MOU signing can be called timely. Besides they are confident about the future cooperation and hope that more UK enterprises will invest in China.